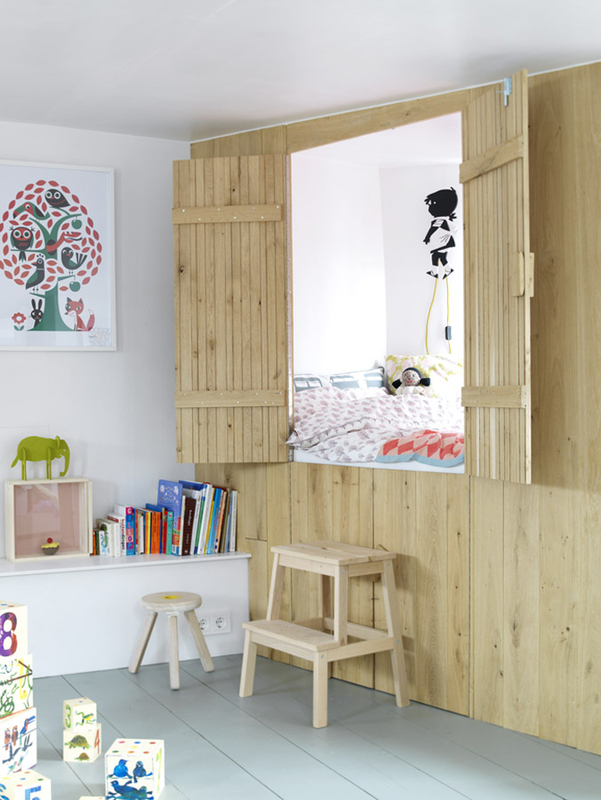 When it comes to children’s rooms, the bed is the star of the show! After all, the bed is where they sleep and relax, so it goes without saying that it needs to be comfortable. 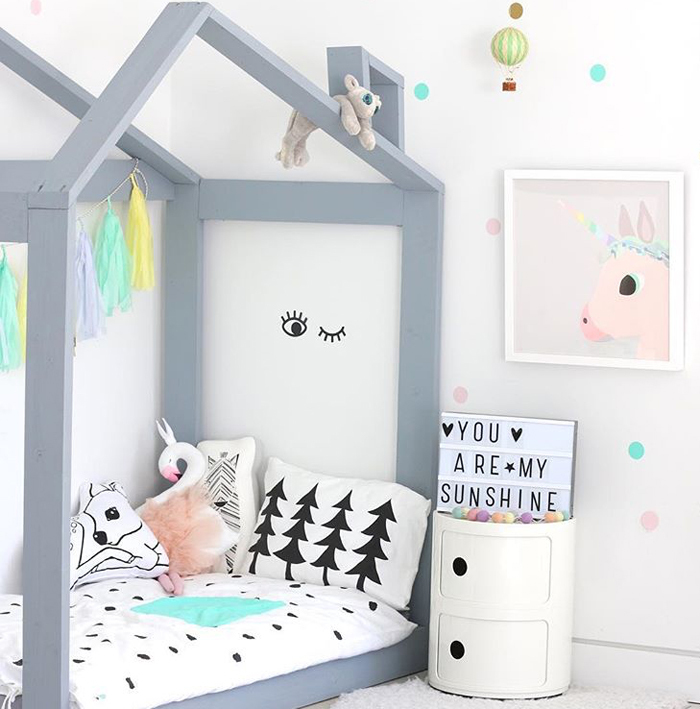 And depending on the size of the room, the bed can also double up as a play area or den, or — in the case of loft or cabin beds — an invaluable space-saving piece of furniture. With so many bed options out there, how do you choose? Well, we have found five of our favourites to share with you today — favourites for different reasons as you will see, but all of them packed full of comfort, function AND style! 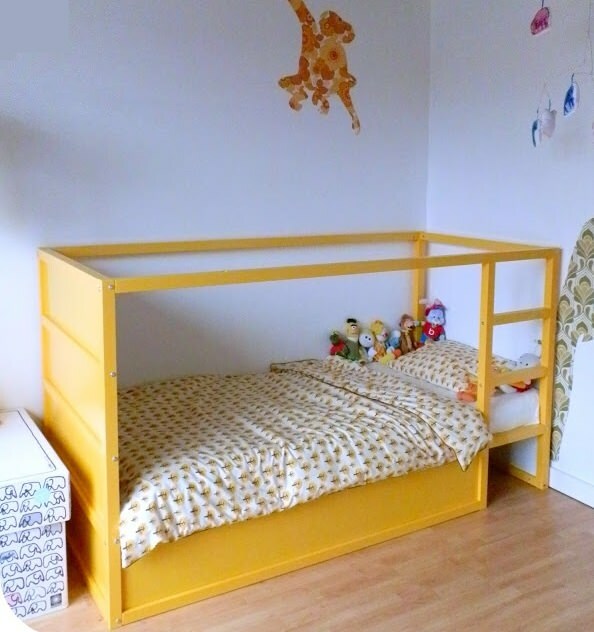 You many have spotted a few house beds around, and one of our favourites (apart from our own) is this stunning homemade creation by Jujuzozo. We love that it is low to the ground (perfect for toddlers and young children), and the irregular roof shape and chimney make it that little bit different… In addition, the soft grey colour is calm and peaceful: just what you need for a good night’s sleep! And by day, it makes a fun den and play space. The ultimate snug hideaway for sleeping, reading, playing… you name it! 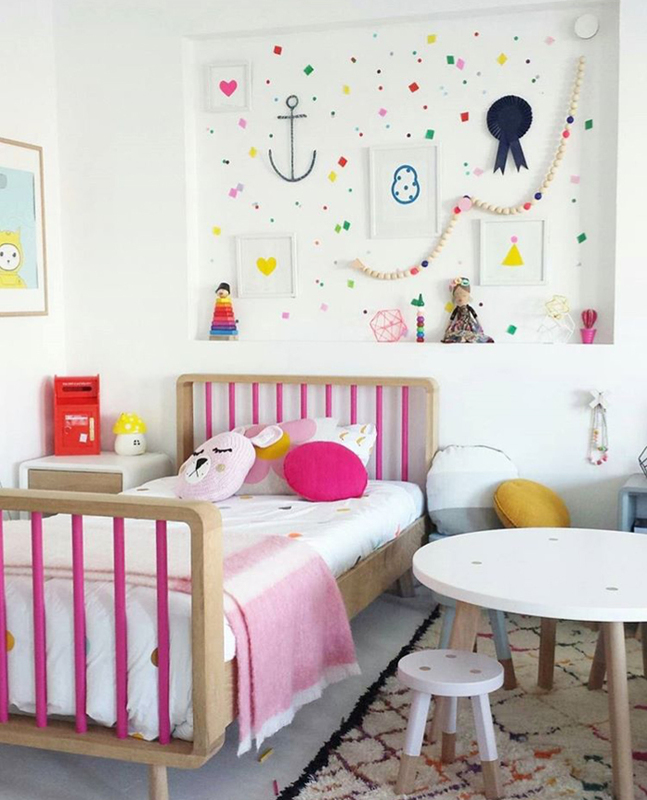 It is worth considering a custom built bed if your child’s room is an awkward shape – you can maximise the space in the room whilst creating a bed that is totally unique. Consider book shelves inside it, storage underneath it – in other words, make it your own to suit your child’s needs and lifestyle. 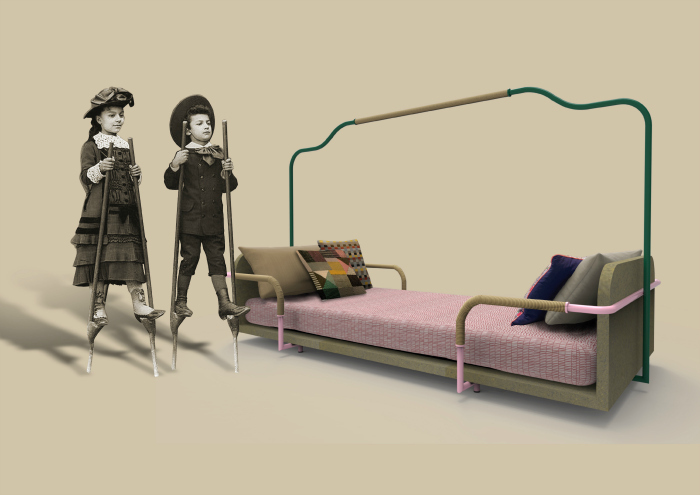 We LOVE this ‘Archie Bed’ by Green Cathedral in Australia. 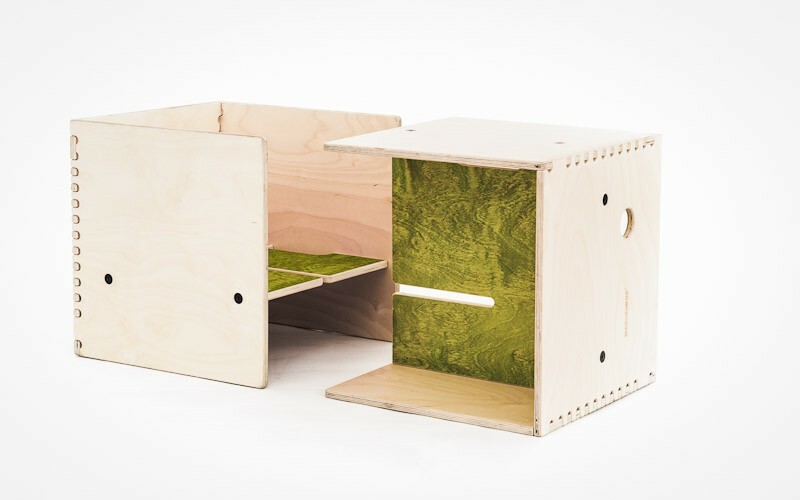 It is crafted from American oak with powder-coated aluminium bars that come in a range of colours, including glow-in-the-dark! 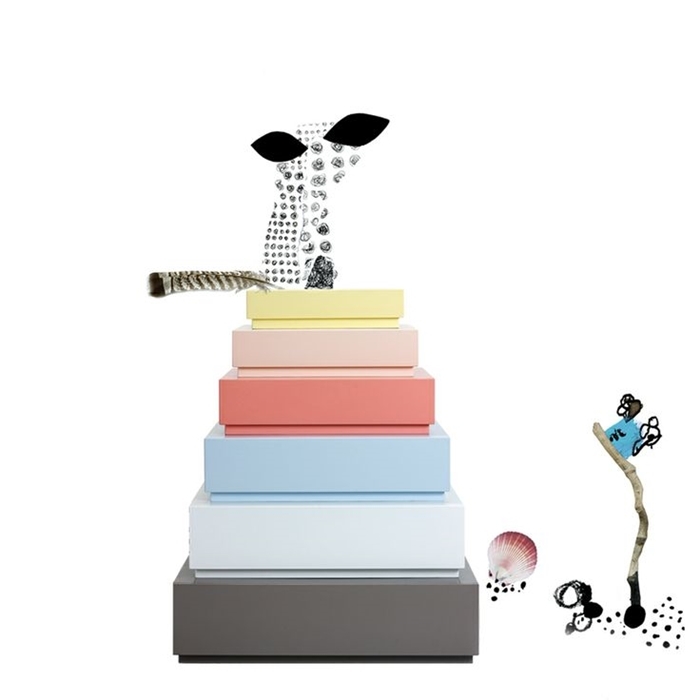 A striking way to add a pop of colour to the room, whilst complementing the accessories around it. 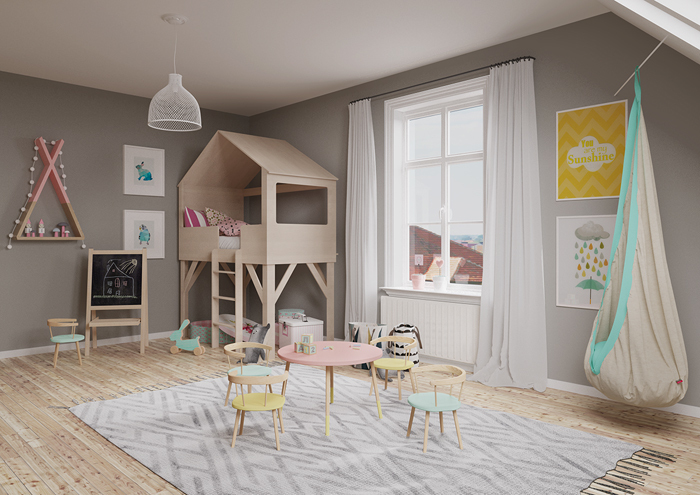 Built to last from high quality, solid Scandinavian birch (and with both beds being full size singles), this is a great option from age 3 to teens. And if you only have to buy one bed for your child, that has to be a good thing.